One good reason to go to Italy for your vacation is the people. With over 58 million people in an area about the size of the state of Arizona, Italians are said to be some of the friendliest people in the world. 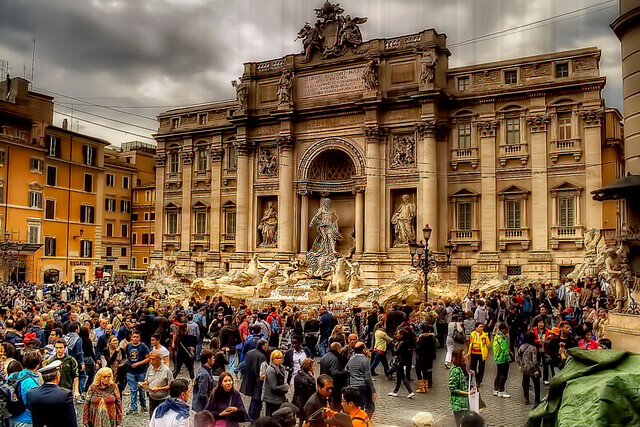 Their love of life, food, people, art and their great culture steeped in thousands of years of history makes an Italy vacation a great choice for leisure travel. You will find that the people are charming and charismatic. They love family life and music and tend to be freely giving of their affection. During your Italy vacation you will notice that Italians are proud of their heritage and are passionate about everything they do. They are very welcoming to strangers and quick to share their food and offer their wine or even a joke or a story. So who are some of the famous Italian people that may be featured at some of the sites you may visit on your Italy vacation? During your Italy vacation you will undoubtedly come across several places that are tied to the name of this famous Italian. For example he was born and spent much on his youth around Florence in the Tuscany region and later on moved to Milan. Unfortunately you will not find the Mona Lisa on your Italy vacation but the Last Supper is found in a famous church called Santa Maria delle Grazie in Milan. Galileo is another famous Italian also from the Florence area known for his contributions to math, physics and astronomy. You can visit the University of Pisa during your Italy vacation if you are curious to know where things began for Galileo. You can also visit the bronze chandelier in the Cathedral of Pisa that is said to be where Galileo first started thinking about his swinging pendulum theories. He is said to have timed the swings with his pulse while sitting in this cathedral. Marco Polo is another famous Italian. He was a Venetian who traveled and explored the world. He was buried in the Church of San Lorenzo in Venice and the house that is said to be his actual birthplace in Venice also exists and is frequented by people on vacation in Italy. Michelangelo is also a famous Italian whose name will come up during your Italy vacation. As a painter and sculptor he was said to be a rival of Leonardo da Vinci’s. “The Last Judgment” is a huge mural he took 6 years to paint that is on a wall at the Sistine Chapel in the Vatican City. It describes the apocalypse or second coming of Christ. Michelangelo also designed the dome of the St. Peter’s Basilica in Vatican City which you will be able to see on your vacation in Italy.